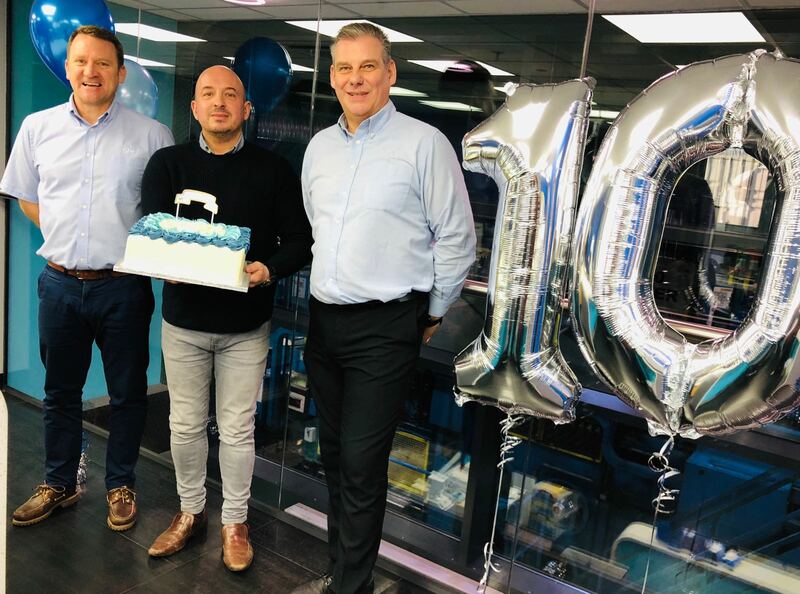 Specialist rubber compounders, SPC are celebrating their tenth anniversary at their manufacturing plant and company headquarters in Westbury, near Bristol. A manufacturing success story, the company opened the plant at the end of 2008 with just six people. Today the plant employs more than 90 and has a turnover of more than £20 million. SPC Director, Paul Hallas, said: “We launched the business in 2001 in Whitby, North Yorkshire. In 2008 we got the opportunity buy the Avon European mixing centre in Westbury, Wiltshire. Over the years SPC has invested several £million into Westbury including, in 2013, the completion of a state of the art analytical lab. Today SPC Westbury is the company’s headquarters and is the flagship for the rest of its plants in Wales and Barcelona.